After growing up in Walnut Creek and graduating from Las Lomas High School in 1987, Nick received his undergraduate degree in 1991 from the University of California, Riverside with a BA in History and Law, and his law degree from the University of Dayton. He wrote for and edited the Dayton Law Review, played on the intercollegiate club volleyball team and graduated from UD with honors in 1995. 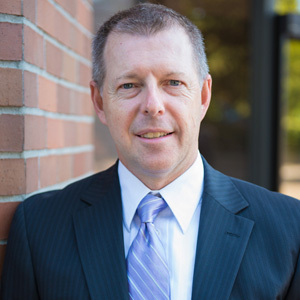 He started his legal practice in Walnut Creek in 1996, with a focus on real estate and business transactions and litigation. During those early years, much time was spent assisting residential and commercial landlords with lease transactions and disputes, including an extensive unlawful detainer practice. In 1999, Nick transitioned to Concord, and while working for a small law firm expanded his practice to include more extensive litigation, as well as land use planning and entitlement work, construction law, and addressing all manner of real estate acquisition and ownership issues. During this time Nick started representing several local homebuilders, who he has continued to represent over the years. In 2011, Nick and Chris Odne formed Roscha & Odne LLP and moved to their current location. Now with 20 years of experience in the practice of law, Nick represents clients on a broad range of matters, including drafting and enforcing residential and commercial leases, acquisition and sale of vacant and developed real property, mechanic’s lien enforcement, land use planning and development, CEQA compliance and permitting, business entity formation, disputes and termination, and real estate and business litigation. Nick lives in Martinez with his wife, and when he is not working or spending time with his family you may find him on the golf course, on his bike, or in the garden. Chris grew up in Walnut Creek and graduated from De La Salle High School, where he recently completed a term on the DLS Alumni Board of Directors and was a member of the 1997 swim team that was inducted into the DLS Athletics Hall of Fame. He graduated from the University of Southern California in 2001 with degrees in Business Administration and Finance. Prior to graduating from USC, he attended the University of Washington on an athletic scholarship and was a two year letter-winner in men’s varsity swimming. He received his law degree in 2005 from the University of San Diego, where he was active in the Business Law Society and was accepted and completed coursework in the USD MBA program. 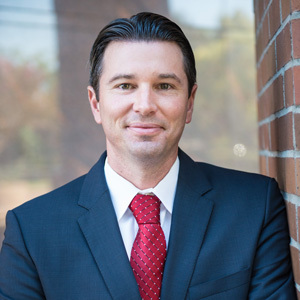 Chris began practicing law in Walnut Creek in 2005 focusing exclusively on civil litigation, where he represented clients in a wide variety of disputes. Prior to forming Roscha & Odne LLP, he transitioned to a local firm in Concord in 2008, where he expanded his practice to include a primary focus on real estate and business related matters in addition to his ongoing litigation practice. Today, Chris focuses primarily on residential and commercial real estate transactions and providing general counsel concerning real estate issues, litigation, business formation and compliance, and negotiating and drafting contracts on behalf of numerous local and national businesses, including Fortune 500 companies. Chris and his wife, daughter, and Golden Retriever live in Walnut Creek.